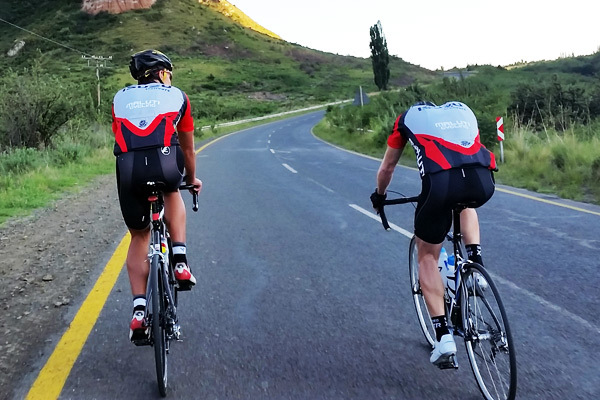 The Maluti Double90 is a team time trial over 180 km. The event takes place on Saturday 13 April 2019 and is limited to 120 teams. Teams can enter up to 12 riders per team, with the time of the 6th rider across the finish line being taken as the official team time. Entries are open and will close as soon as 120 teams have entered or at close of business on 28 Feb 2019, whichever comes first. Entries will only be taken online, at R9 300 per team. 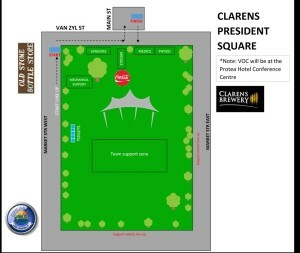 The start and finish will be at the President Square, Clarens. The route will take teams from Clarens to Bethlehem to follow the R26 before turning right onto the undulating R714 towards Warden and Eenzaamheid. Thereafter it’s a right turn onto the R57 towards Kestell before the last stretch on the R712 which includes a tough hilly section through the Golden Gate national park. The route is generally undulating, with some steep and tough hills in the last 40 km. This is not a ride for beginners. Teams will start with 30 second intervals and have up to 9 hours in which to complete the event. A cut-off will be implemented at the Supporter Zone in Kestell (107 km). Additional cut-offs may also be implemented en route. Your team’s time will ‘keep ticking’ while they refuel at the Supporter Zone and there will be no “time-out” period. Teams will be seeded prior to the event, with the start times published on the website prior to the event. It is not an easy ride and teams are encouraged to put in the training miles, taking into consideration the average altitude of roughly 1900m and elevation gain of over 2200m for the event. In line with all events organised and overseen by the PPA, the Maluti Double90 will fully comply with all relevant local and national legislation. In these 24 years, this event has remained the top team challenge in the country and has only ever been held in the Western Cape. With the PPA opening an office in the Free State in July 2015, the opportunity came to take the event concept into a new territory. The first Maluti Double90 was held in 2016 and will be in its 4th consecutive year in 2019. 18h00-22h00 Pasta meals available at Protea Hotel by Marriott Clarens (booking essential) – choose from the Pasta Buffet , or take-away pasta meals. Entry fee: R9 300 per team. Team categories will be determined by the first 6 riders from each team that crosses the finish line, and not according to the way the team members have been entered. Teams must have 6 finishers in order to receive an official team result. All team members must ride with Racetec timing chips. Ladies – Ladies Teams may have only ladies starting in their team. This team may have any number between 6 and 12 riders. There will be a first place prize awarded in this category, provided there are at least 5 teams competing in this category. Mixed – a minimum of 3 ladies need to finish within the first 6 riders of this team. Failing to do so will result in this team being classified as an Open Team. There will be a first place prize awarded in this category, provided there are at least 5 mixed teams competing. Open Team – An Open Team may consist of male riders only, or teams with fewer than 3 female riders. Teams with single bikes and tandems combined, or teams comprising of only tandems will be given an official team time (Open Team category) but will not be eligible for any team prizes. 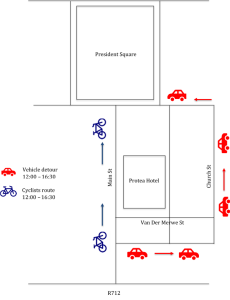 TEAMS MUST STAY APART ON THE ROUTE: One team may not, under any circumstances, join another team along the route and teams are required to remain apart, except when overtaking. When a team overtakes another team, they must ride in single file until clear of the other team. The team seedings and start times will be posted on this website a week prior to the event. The Maluti Double90 is timed by RaceTec and it is compulsory for all team members to wear a RaceTec chip. If you do not own one, you will need to purchase a chip at registration. The chip – which captures race times – is to be worn around the ankle, or mounted to a bicycle wheel using the official bike mount, during the event. Not only does it store important details, but is also linked to your unique personal profile, giving the organisers real-time access to your personal info in the event of an emergency. These include address and next of kin details to medical (and medical aid) details, which can be of vital importance on race day. LADIES Podium medals awarded to top 3 ladies teams. Minimum 6 teams for category prize money. All participants will receive a medal upon the successful completion of the event. Teams with single bikes and tandems combined, or teams comprising of only tandems will be given an official team time (Open Team category) but will not be eligible for any team prizes. Teams with fewer than 6 riders are welcome to participate, but will not receive an official team result. The Biogen Hot Spot Strava competition prize will also be awarded at prizegiving. Visit www.Trans-sporT.co.za if you would like to have your bicycle transported to and / or from Clarens (at your own cost). Carel and his team from Cycle World in Bethlehem will be at Registration (14h00-18h30) on Friday to attend to any last-minute problems you may have with your bicycles. On race day, they will also be at the start from 05h30-08h00. After that, a mechanic will roam along the route – look out for their marked vehicle. Please note that any mechanical assistance will be for the rider’s own account.